So, today is the day. 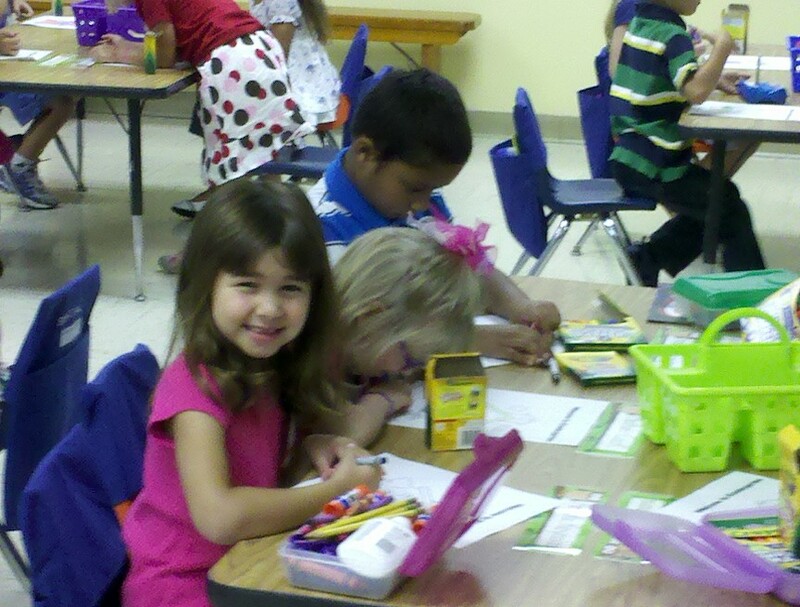 My daughter, Annika, started kindergarten. She’s been at her daycare/preschool since she was a baby, so it wasn’t an upsetting transition (tears, screaming, etc.). But, a transition nevertheless. Of course, the first day of any school is organized chaos. We found her locker, put her stuff away and went into her room. Bless her teacher for leaving out a picture to color while we got organized. I took my requisite pictures, gave her a hug and kiss and away I went. No tears, just joy. I’m sure I’ll cry a bit later, but she doesn’t need to see that. She was ready and excited to get going on this new chapter in her life and I’m excited for her too. My daughter just plain amazes me- she has grown so much in 5 short years. And she’s taught me more about life than anyone else. I’ll share some of the more important lessons. Sometimes it’s more important to be kind than right. To be kind is to be human, and I fear our world has forgotten how to be kind to others. Without kindness and humanity, what really do we have? By the same token, it is important to fight for what you believe in. Annika is very strong-willed and stubborn, and if she has a cause she believes in, she’ll fight. Being passionate and sticking to your convictions are both admirable traits. You can never have too many friends. Like her mother, she’s a social butterfly. Once she gets used to the new routine, she’ll be chatting up everyone. Friends lift you up, make great sounding boards and offer a very special kind of companionship. And to make a lifelong friend…..ah, that is a true treasure. Share with me please- what have your kids taught you? How have their “lessons” made you a better person?